My time blogging so far hasn't been long, but it's been full of surprises and new experiences. I started my blog in July of this year after years of deliberation - seriously, I'd been brainstorming blog ideas and name suggestions since October 2013! So after a lot of back and forth I finally bit the bullet and went for it and I haven't looked back since. 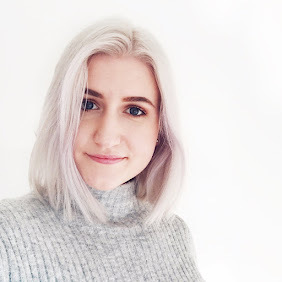 Starting my blog has been one of the best decisions I've made and even in the short time I've been blogging, I've already learnt a fair few things. So here are 10 things that blogging has taught me! 2. Time management is everything - Oh it's winter and the weekend and you want a nice lie in? Forget it. You have about 14 minutes of good light for that day and beyond that you can forget getting a photo that doesn't look weird and grey or yellow-tinged. If I have to take blog photos I'll normally set out a day on which to do so and set an alarm so I can get them done in the morning. Time management is key! 3. 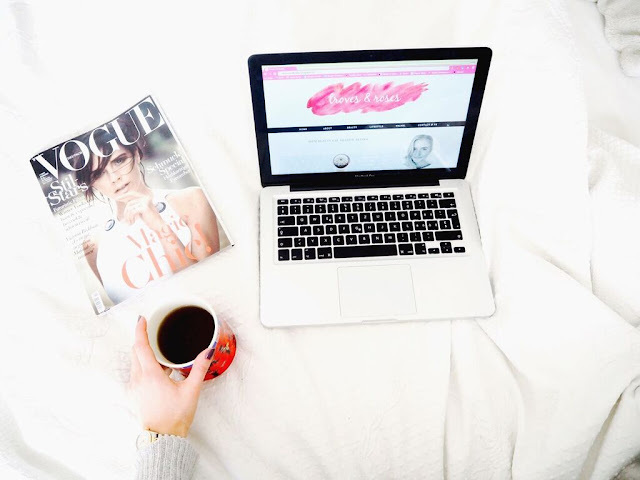 You will blog looking like a hag - I usually take my photos in the morning and write my posts in the evening, which means that for 90% of my blogging time, I look a mess. I cannot tell you how many times I've had to hope no one notices me occasionally reflected in photos of shiny makeup packaging. Hair in a pineapple on my head, trackie bottoms and a giant t-shirt as my ootd and generally not looking my best. 4. It's not as glamourous as it looks - This kind of goes hand in hand with number 3, but blogging has made me so aware of how contrived certain images are. A seemingly effortless photo can take hours of effort and editing and whilst I know that professionally blogging is a whole different kettle of fish, there's not much glamourous about sitting around in your PJ's and trying to arrange your shot just so, for your various makeup pieces to look casually strewn about in a way that is still aesthetically pleasing. 5. Social media rocks - I used to be a massive hermit when it comes to social media in my every day life. I've had a personal Facebook, Instagram and Twitter account, all of which have gone very much unused in the last few years. After I started my blog, I really got into Instagram and Twitter more. Not only are they great channels for getting your blog out there a bit more, it's awesome for interacting with and maybe even meeting other bloggers. I know that I've found so many new blogs that I read most days now, just because of social media and it's always great to get in touch with other people who are on the same wavelength as you! 6. You'll get a lot of spam - I decided to put my blog email onto my social media accounts a little while ago, so that I would be easier to contact. Whilst that's brought some great opportunities with it, it's also been a massive pain. You wouldn't believe how many dodgy emails I've received as of late. No thank you, I would not like to pay $200 for more Instagram followers. So a lot of my time going through my emails pretty much revolves around delete, delete, delete. 7. Writing a beauty blog is expensive - I should have seen this one coming, eh? There is a lot of pressure to always be on top of new releases as a beauty blogger, but for someone on a budget you really just have to take a step back sometimes. I can't spend all my pennies on makeup, or I won't be able to do things like buy Starbucks - so basic - so I just spend a lot of it on makeup. We'll call it a compromise? 9. You don't get buckets of free stuff - Okay, I'm kind of cheating here, I didn't just learn this, I knew this. If you start blogging because you want free products you're going to have a bad time and you're going to quit. I went into this as a hobby and I knew there wouldn't be anyone throwing free makeup at me. So this isn't technically something I learned, but definitely an aspect of blogging to keep in mind. I spend most of my money on makeup anyway, har har. 10. To be more creative - It's very easy to get stuck in a rut when it comes to blogging. You see a lot of the same stuff online and it gets hard to be original. Oftentimes putting your own twist on something and trying new things by pushing your creativity can go a long way. There are still so many things I want to do, and I definitely want to write some more lifestyle posts on this blog so I'll hopefully be doing lot of planning in the future to keep things nice and fresh on here! This was a bit of a different post from me, but like I said, it's fun to try something new and switch it up every now and again! I've honestly loved blogging so far and hope that I can carry on doing so in the future. I also hope some of you could relate to the stuff I said and that I'm not just a weirdo who sits around in pyjamas and has a lot of pretty bowls. Oh well! Definitely agree with everything here, especially number 3. Sometimes when I take pictures the reflection actually shows my pajamas so I have to keep taking the pictures until the reflection is less obvious. Blogging being expensive is defiantly true! I totally agree with all of these points. Even though I'm still a new blogger, this is all still so relate able! Great post. I agree with everything in here! I live blogging, it has become one essential part of my life, but I have to be really organised if I want to do uni and blog at the same time, if not it's a chaos. By the way, I've nominated you to the Liebster Award! I would love to read your answers! Theres so much that actually goes into blogging, your right! Top that with everything else that we have going on in our life's and it can get quite hectic quickly!